We all know how painful it is to lose all your files and data due to an abrupt hard drive failure or accidental deletion. To help you circumvent such horrid situations, we have compiled a list of the best free data recovery software for Mac out there, which will resuscitate whatever crucial data you lost, with ease and grace. All of these nifty data retrievers are well-equipped to seep into computer hard drives, external hard drives, flash drives, and DVDs. 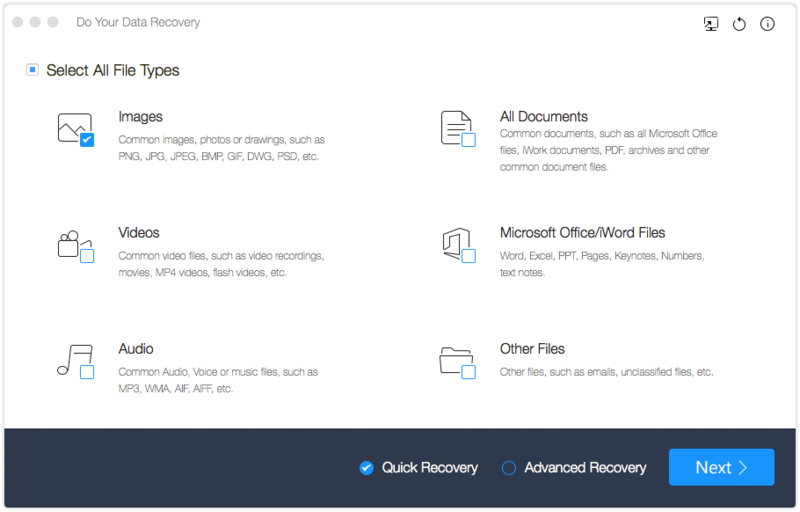 Moreover, these tools on our list of the best free data recovery software for Mac can restore documents and photos, and even repair audio or video files in broken DVDs. If your Mac device is on the fritz, PhotoRec by CG Security can prove to be a powerful free Mac data recovery tool that has the advantage of being open-source. That is, anyone can make changes to the source code of PhotoRec. In fact, it can recover most common file formats such as MP3 audio files, JPEG pictures, PDF documents, HTML pages, OpenDocument, ZIP archives and even Microsoft Office files. 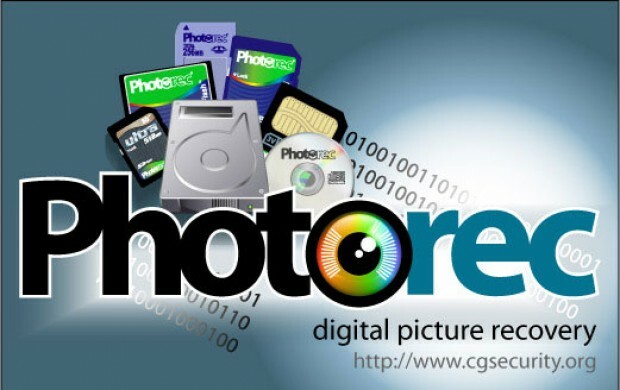 Moreover, PhotoRec can recover files from different devices such as USB flash drives, hard disks, digital camera memory cards and CD-Roms. It is compatible with OS X, OpenBSD, NetBSD and Linux. But, the highlight of this free recovery tool has to be its file carving feature that searches for the cluster size or data block. It obtains value from the superblock (ext2/ext3/ext4) if the file system is not corrupted, or from the volume boot record (FAT, NTFS). If PhotoRec isn’t able to access the value(s), it examines each sector of the device, and based on the first ten files found, it gauges the entire cluster or block. Secondly, this free data recovery tool reads the device cluster by cluster and block by block, checks against the various file signatures within itself and assembles and recovers all the available files. Also known as the freeware version of Disk Drill, this brilliant recovery tool can preview recovered files, and contains important functionalities such as Guaranteed Recovery, and Recovery Vault all of which make DiskDrill Basic one of the best free data recovery software for Mac available on the market. 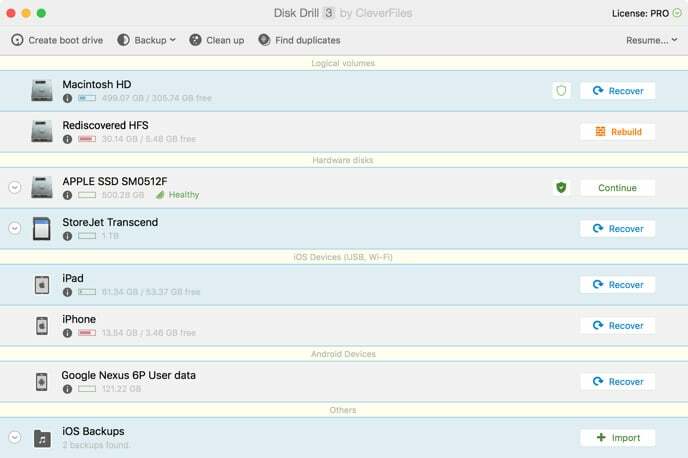 Disk Drill Basic can work seamlessly on internal/external hard drives, SSD drives, USB flash drives, and a plethora of iOS appliances that can be connected to a Mac. Moreover, the Recovery Vault acts as an extra layer to the trash bin that stores information about deleted data. On the other hand, Guaranteed Recovery is a service that runs in the background for saving a copy of individual files. Both these utilities reduce the chances of losing critical data permanently. What’s more – it boasts an extensive database of file signatures and employs robust scanning algorithms that are incredibly fast and effective. Plus, it allows users to clone their device/partition without risking the original source thanks to its image file creation feature. 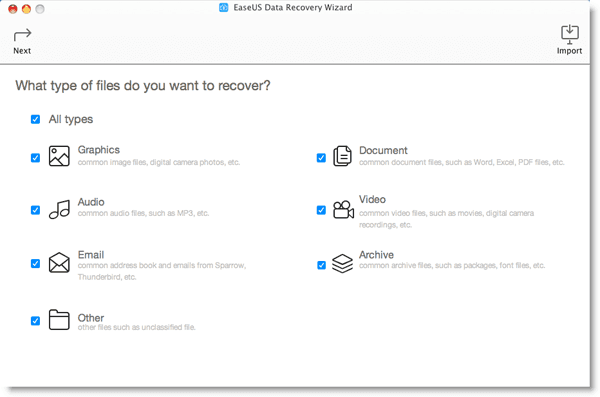 EaseUS Data Recovery Wizard is a very popular Mac data recovery software application whose free version is limited to a maximum of 2GB of data that is restorable. EaseUS can swiftly retrieve data from Mac notebooks, hard drives, desktops, SD cards, memory cards, USB drives, et al. 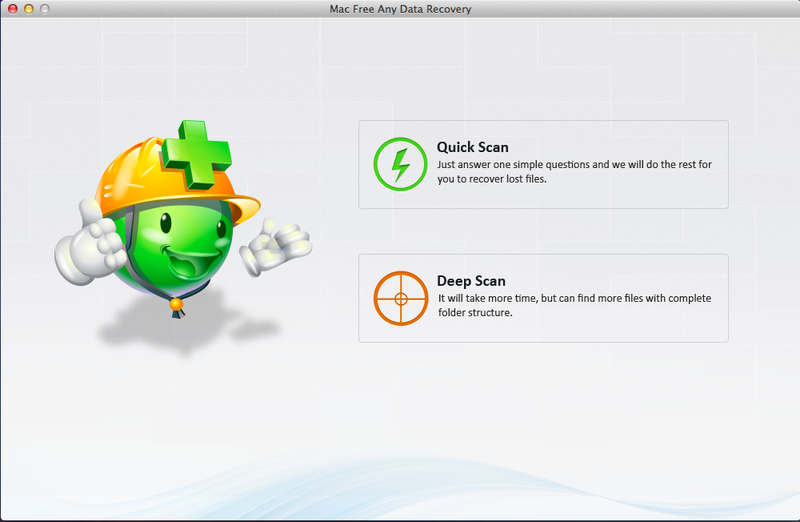 What else injects it into our list of the best free data recovery software for Mac? It works equally well on FAT/FAT32 file systems used in USB flash drives/external hard drives and internal drives supported by HFS+ on an Apple computer. EaseUS data recovery wizard’s speciality lies in recovering file formats used in video, image, document and audio files. Overall, this free data retriever comes in handy for recovering lost data due to inadvertent deletion or drive formatting errors, data corruption from abrupt loss of power, or removal of flash devices without un-mounting them. “Undelete Recovery” mode is used to quickly recuperate data lost due to inadvertent deletion. The second mode, “Damaged Partition Recovery” specialises in recovering data lost from existing partitions. “Lost Partition Recovery”, specialises in recovering data lost from deleted or lost partitions. The fourth and final mode, “Digital Media Recovery” recuperates data i.e. multimedia files from flash devices or portable storage devices. Softtote Mac Data recovery is a unique entity on our list of the best free data recovery software for Mac that doesn’t throw up any limitations insofar as smooth data recovery of lost files from internal and external hard drives is concerned. It also comes with free technical support. Some common RAW image file types that it can recover include Fuji, Nikon, Canon, and Kodak. Moreover, Softtote works seamlessly on a diverse range of file systems such as HFS/HFS+, NTFS, FAT, and HFS Wrapper. It can also preview details such as creation date, and image size. All in all, Softtote, in spite of not being well-known, definitely deserves a try out in case of accidental file loss. UnDelete MyFiles is a formidable data recovery software than can speed up your chances of recuperating crucial data as long as it is a single file. Yes, you can also view the contents of a file through its preview function. But, the novelty factor for UnDelete is that it takes a snap of the deleted files, and puts that as a log into one big file. This helps in easily finding the stuff you want without expending any time. However, one of the major disadvantages of the free trial version is that it can only recover up to 10 files. Mac Free Any Data Recovery is a robust free data recovery tool that helps you retrieve a variety of files from the abyss of damaged drives, literally. Which is why it is considered one of the best free data recovery software for Mac users who want to utilise all the features of a premium data retriever in a free version. You can conduct speedy scans, retrieve a gamut of files, and preview files before recovering them. So much so, first time users won’t be overwhelmed by its user interface which is very simple and easy-to-use because it displays only two scanning modes: Deep and quick. However, one big limitation is that the free variant of Any Data recovery can only be used for a trial period of 30 days. But, that’s a lot of time to recover all your lost data! Are you looking for recovering data for the first time ever from your Mac? M3 data recovery software is just the ideal solution for you. Not only is it free to use, but retrieving deleted data and lost files becomes a cinch. You can recover lost files in numerous files formats that have been compromised by a system error, corrupted hard disk, power outage, or virus attack, etc. 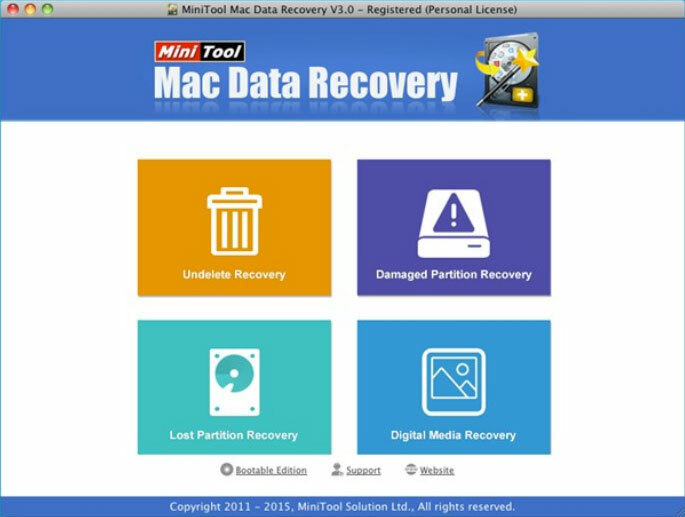 Thanks to a high success rate, and relatively simple user interface, M3 Data Recovery software consistently ranks amongst some of the best free data recovery software for Mac. In fact, the trial version boasts all the features of the premium version. The only limitation here is that you can use the full-featured free trial version for a limited time. Widely regarded as one of the best free data recovery software for Mac users, Cisdem DataRecovery can easily scan and preview lost/damaged files in corrupted, re-formatted or crashed hard drives. 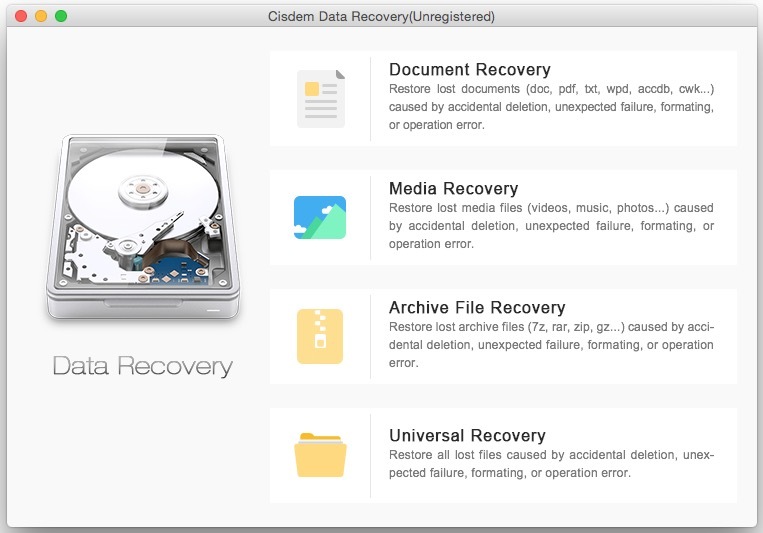 Cisdem DataRecovery provides four recovery options: Universal Recovery, Media Recovery, Document Recovery, and Archive File Recovery. If you are a first-time user who is unacquainted with the nuances of data recovery software, this tool might just be ideal for you since it is a very easy-to-use software that retrieves a wide range of files quickly and saves precious time and heartache. Moreover, banking on an intuitive UI, and powerful recovery capacity, rest assured you are in safe hands with Cisdem. Although, Do your Data Recovery can recover files of varied formats, its primary strength lies in recovering files in the backdrop of voltage fluctuations, hard drive crashes, or when you are upgrading the system. For the smooth retrieval of lost ‘information’, Do your Data Recovery can go to any depths for reclaiming the deleted information by snooping around, and making duplicate copies without disturbing anything else in the hard drive and showing previews to check files’ contents. And…that’s a wrap! Did you like our roundup of the best free data recovery software for Mac? Did we miss out on any free data recovery software that you know of? Sound off in the comments.